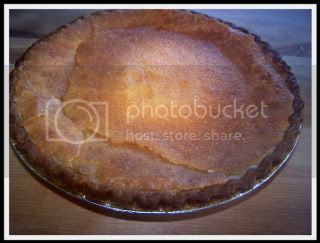 I featured chocolate variation on chess pie earlier this week and thought I'd continue the trend with this transparent pie, which the Boonie Foodie says is "like chess pie but not". Kate shares her memories of growing up eating food that turned out to be regional (I can relate to that!) and not what every kid in the US grows up eating. Transparent pie is a Kentucky specialty. Unlike chess pie, transparent pie has cream in the filling making it even richer. Kate says the pie is toothachingly sweet, so eat it with some coffee or a tall glass of cold milk. Check out the recipe at Boonie Foodie.